This Malteser tree is full of festive charm and really makes a statement with its beautiful vibrant colours. 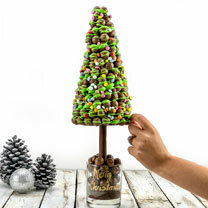 With a decorative green drizzle and Smartie "lights", you'll forget it's not a real tree! Almost entirely edible with the exception of the vase and stem. Personalise with a hand-written message on the vase for that extra special touch. Height 35cm. Personalisation (on the vase): name/message up to 25 letters. (Please Note: Made in a factory that processes nuts, peanuts and egg.) Please order by 12th December for Christmas delivery. This tree makes the perfect festive season gift and would be amazing as an impressive centrepiece to share amongst friends. 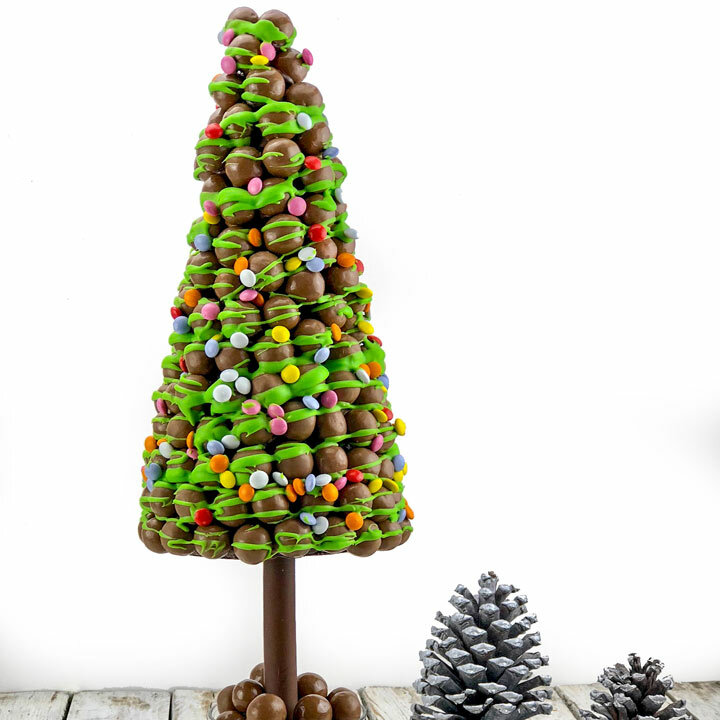 With each tree handmade, wrapped and tied with a ribbon in the UK, it's a perfect gift for chocolate lovers and a made-to-measure box will ensure it arrives safely in time for Christmas.